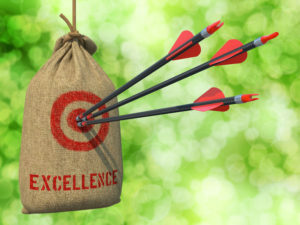 The concept of excellence has been dealt with in several earlier blog posts. However, it is important to emphasize that one’s pursuit of excellence must be based on a biblical model for excellence rather than on a secular one. The world’s concept of excellence is all about performance and achievement. Excellence is measured by the compare and compete mindset. Other individuals or institutions or teams become the standard for defining excellence. One can claim excellence as long as he or the organization is better or defeats the other person or group. This horizontal view of excellence was condemned in Paul’s letter to the church at Corinth. Paul warned these Christians not to put themselves in the category of people who measure themselves by themselves or compare themselves with themselves. Whenever we pursue this type of excellence, Paul says we are not wise. As we provide our children with an education that constantly challenges them to pursue excellence, we must be sure that we teach them what biblical excellence is. Biblical excellence does not begin with a horizontal perspective but with a vertical one. Our standard for excellence isn’t other people or organizations. Our standard for excellence is God, Himself. When God is our standard for excellence then we realize that the focus of true excellence is not on performance but on character. God challenges every Christian to be holy for I am holy. God always desires His children to be like Christ which means that they must develop Christlike character. Out of this pursuit of godly character, one’s performance becomes an extension of his character. Because our desire is to be like Christ, we, therefore, strive to do our best according to the gifts and abilities God has created in us. As we strive to perform to our potential, we do so for only one goal — to bring glory to God. The educational essential of pursuing excellence for God’s glory can be fully captured in another biblical principle of education. Since there is so much attention put on education in today’s world, we must make sure that we are addressing these four essentials of a biblical education. 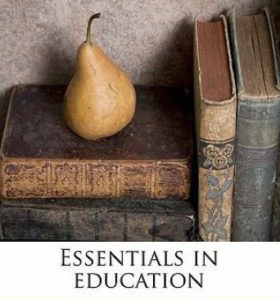 We must assess the education we are providing our children at home, church, and at the schools that they attend in light of these key essentials of education. We must constantly be asking ourselves a few questions. Does the education our children receive at home, church and school have a major focus on them increasing in the knowledge of God? Are our children being guided in understanding how God created them in His image and, from that understanding, developing the discernment to discover God’s call on their lives? Is our children’s education equipping them to be able to accomplish God’s will for their lives as they pursue their vocations? Is the home, church and school challenging our children to pursue biblical excellence that focuses on character that leads them to perform to their best ability for God’s glory alone? If the education we are providing our children at home, church and school is not addressing these four essentials, what are we going to do about it? There is a dire need for our parents to “get” this…………….no, an ESSENTIAL need. Without something more than a mental ascent to this in the minds of our parents (“our”, being truly Christian parents), the Christian families in our country, stand to suffer the same fate of lost hope and purpose as families who don’t claim Christ. Lord, grant the Christian parents in our nation the blessing of a rude awakening for the sake of generations to come, and for the sake of the Kingdom. Amen. Your anointing becomes ever more apparent, Brother Glen!! Thanks for this good word.